This is a print Ashley and I made. 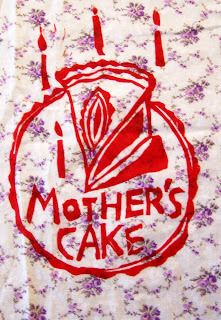 Placenta means Mother's cake. We wanted to make this print as a trubute to the unspoken power of this miraculous process in a woman's body.